Pela is growing the thriving in our Princeville community. He/she has moved a short distance away from the nest and has taken up residence next to the fire hydrant in our cul-de-sac. 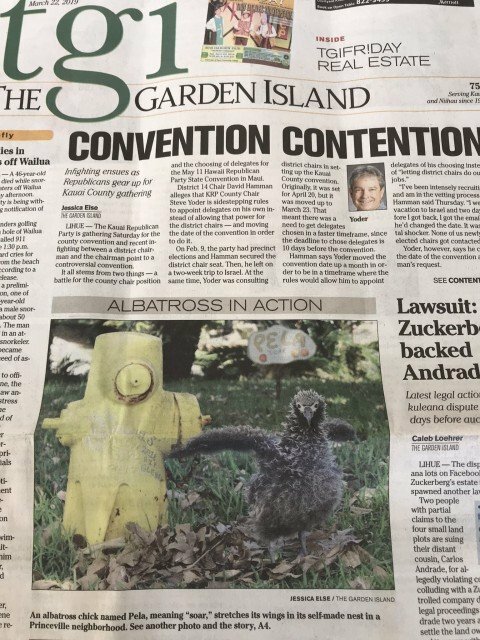 Today, March 22, 2019, she made the front page of The Garden Island newspaper! Clearly this albatross’ next lesson needs to be: photography staging. 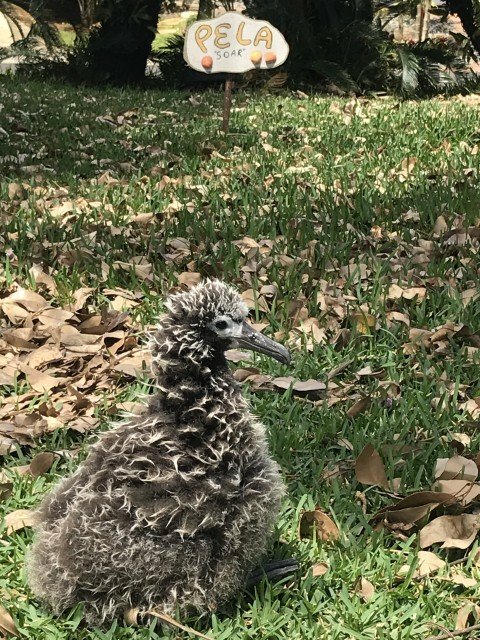 It will not be long before Pela starts getting some flight feathers so enjoy this adorable fluff stage while it lasts. 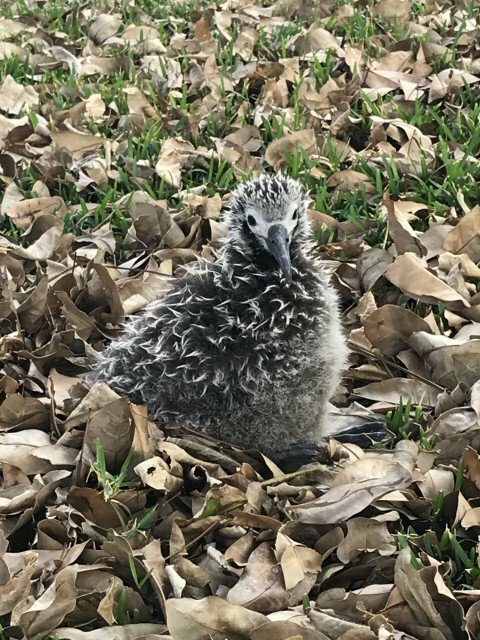 More more information and photos about the Laysan albatross and their chicks, go to the right hand side of this page and select the ‘Albatross’ category. To stay at our luxury, three bedroom home in Princeville, Kauai, click on the other tabs of this website. Mahalo!